As far as the cameras are concerned, both the device sports a dual 16MP + 5MP camera setup on the back. 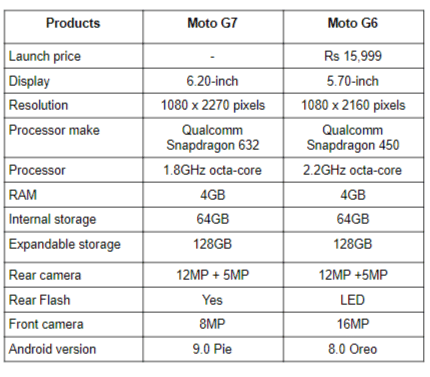 However, it is quite weird that the Moto has provided an 8MP sensor in the G7 as its predecessor Moto G6 has a 16MP unit on the front. Although, it would be too early to decide on anything as there are a lot of factors that contribute towards the quality of the camera other than the megapixels.